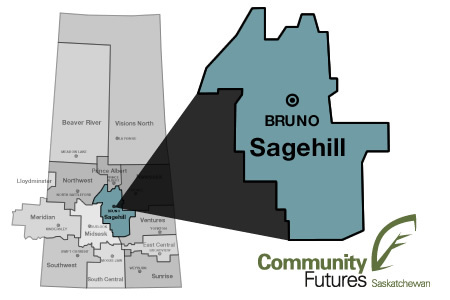 The Sagehill Community Futures Development Corporation has been in the business of encouraging and supporting the communities, the volunteers and the small business owners, in our region, for more than 25 years. We know what it takes to start and grow a business, to raise money for a community project or organize to provide a much needed community service. And, we’ll approach your idea in a way as individual as you are. If you’re a business owner (or want to be) Sagehill Community Futures provides a wide array of technical and financial services that will help you achieve your dreams. If you’re a member of a community organization Sagehill has expertise in facilitation, strategic planning, proposal development and project management. We’d be pleased to help you achieve your goals. Our region is a great place to work and raise a family. It’s also a great place to volunteer. And it's also a great place to start your business. We’re here to help.